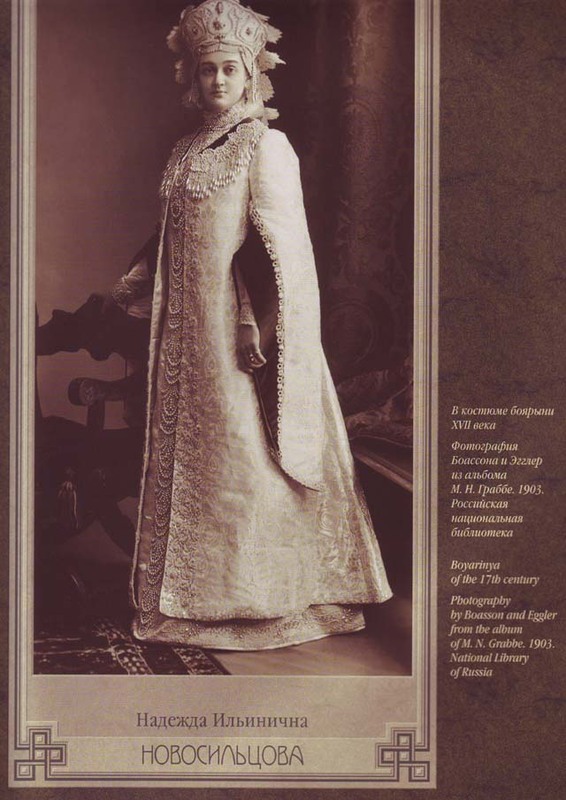 The 1903 Ball in the Winter Palace was a luxurious ball during the reign of the emperor Nicholas II of Russia. 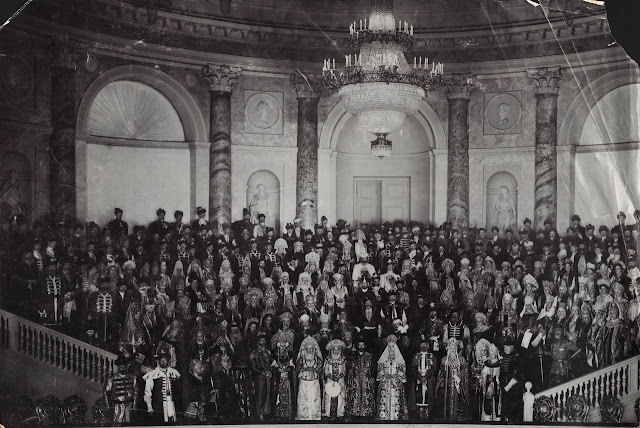 It was held in the Winter Palace, Saint Petersburg, in two stages, on February 11 and 13. 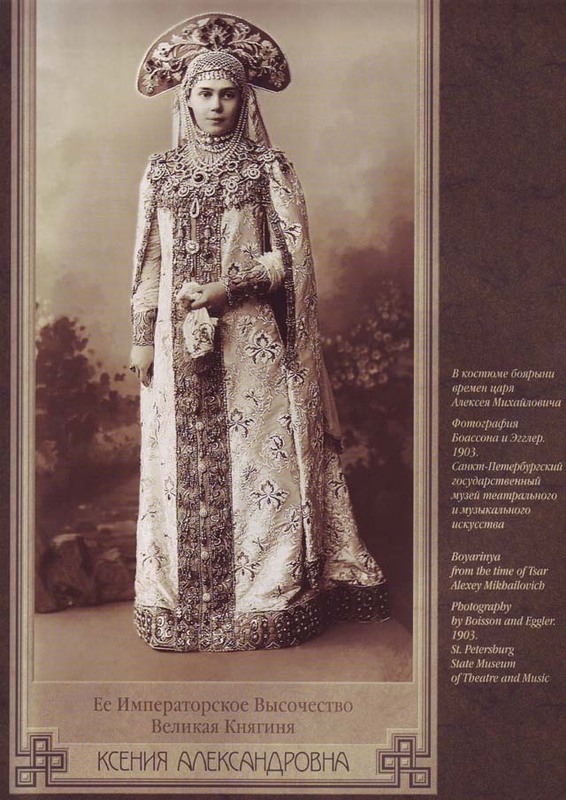 All the visitors were in bejeweled 17th-century style costumes, made from designs by the artist Sergey Solomko, in collaboration with historical experts. 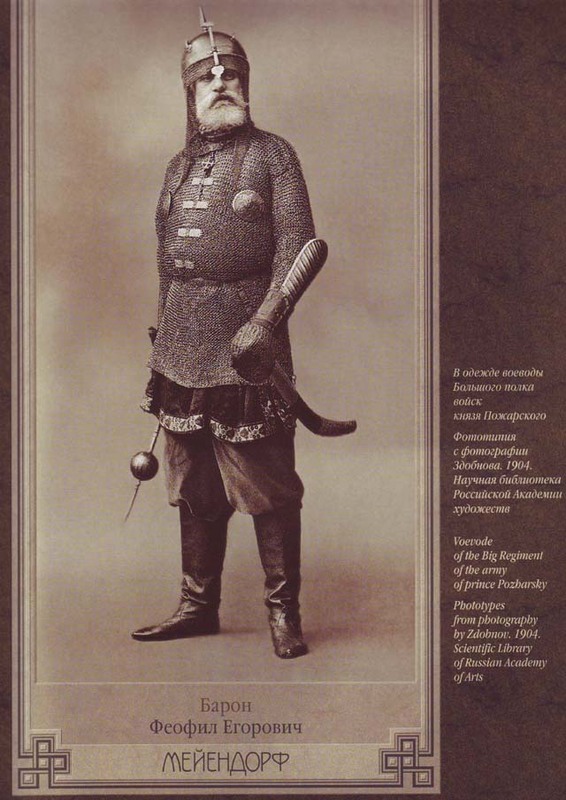 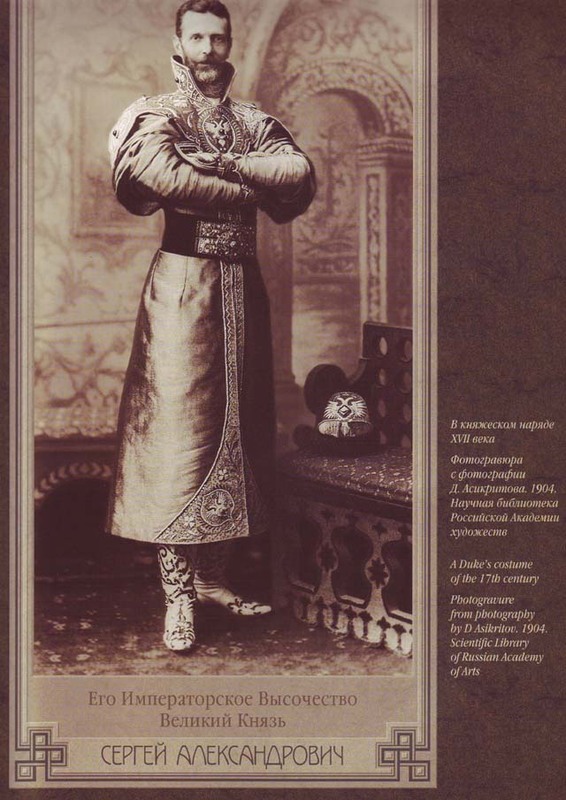 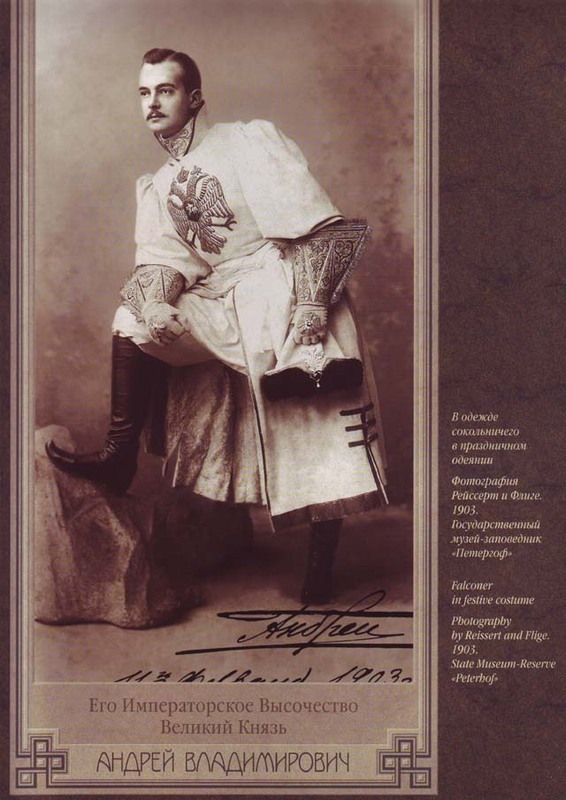 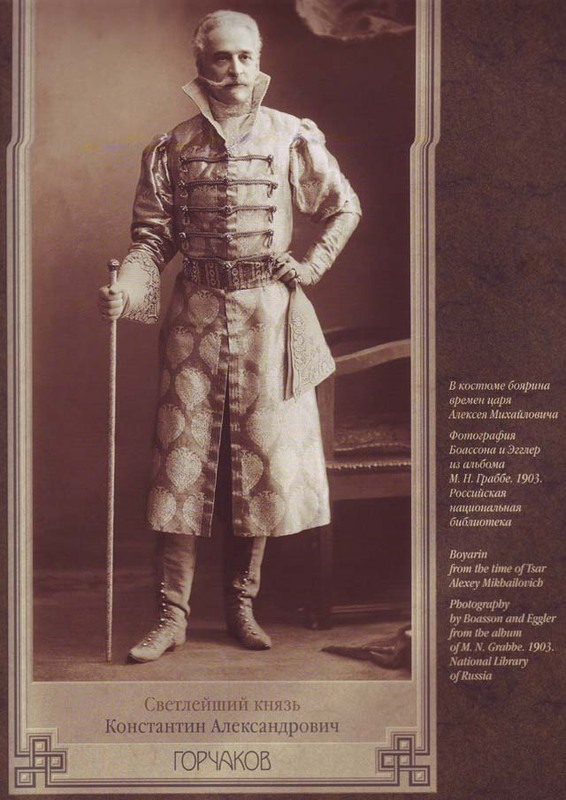 Grand Duke Alexander Mikhailovitch recalled the occasion as "the last spectacular ball in the history of the empire ... [but] a new and hostile Russia glared through the large windows of the palace ... while we danced, the workers were striking and the clouds in the Far East were hanging dangerously low." 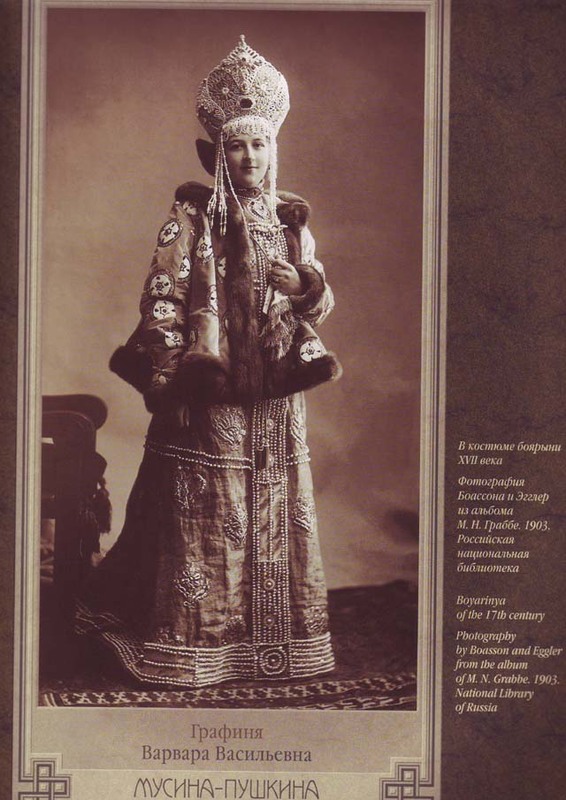 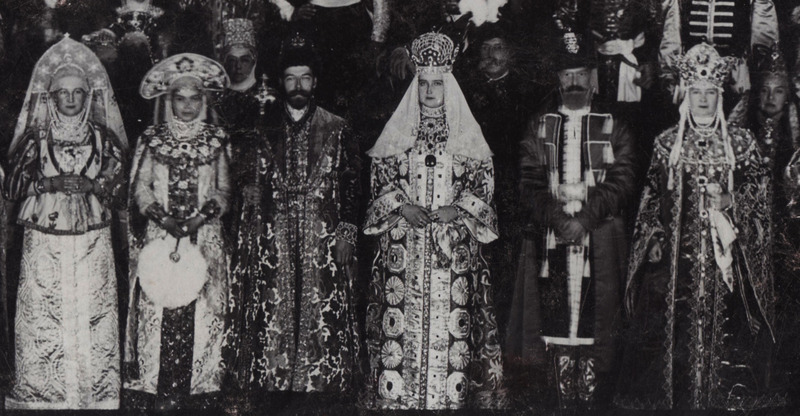 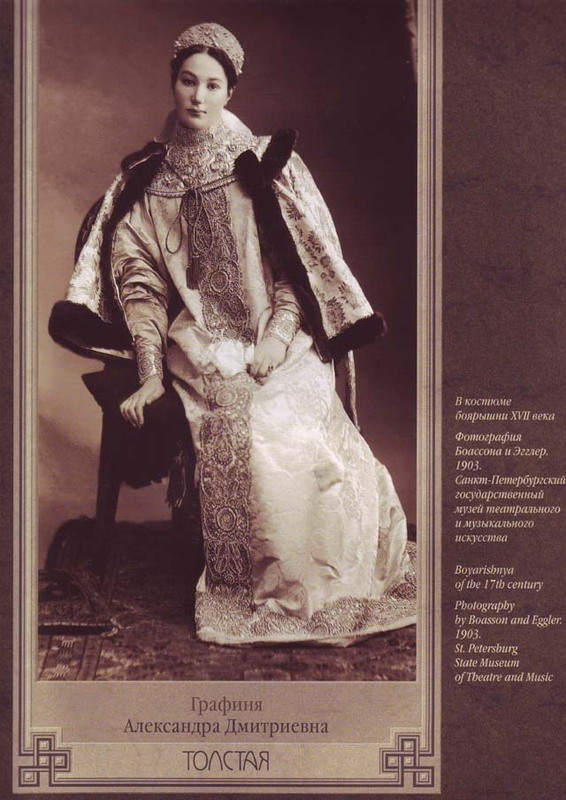 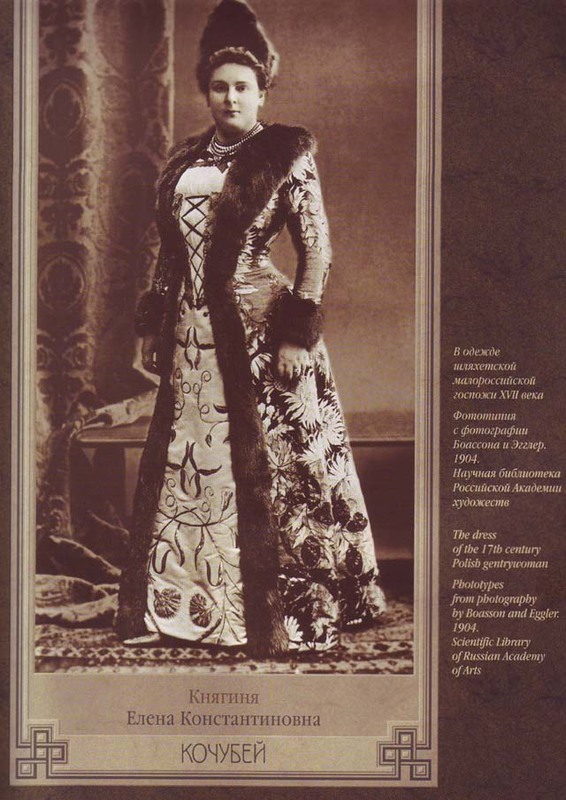 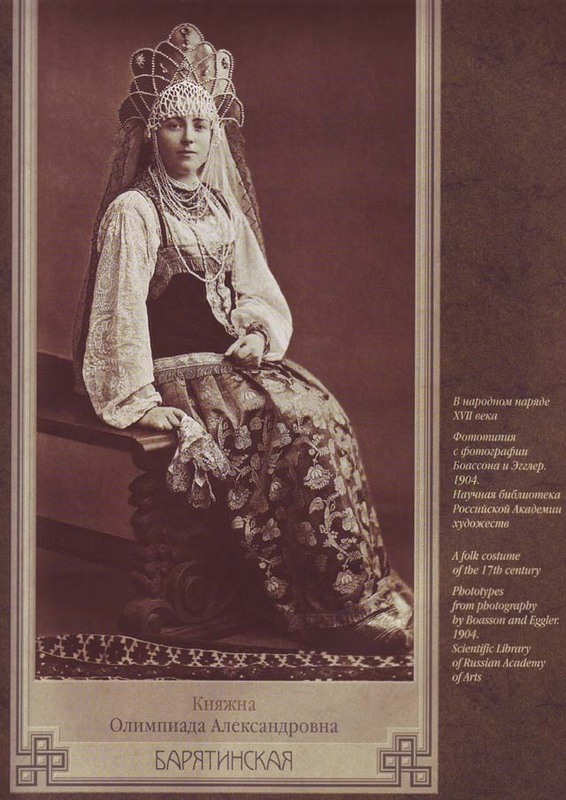 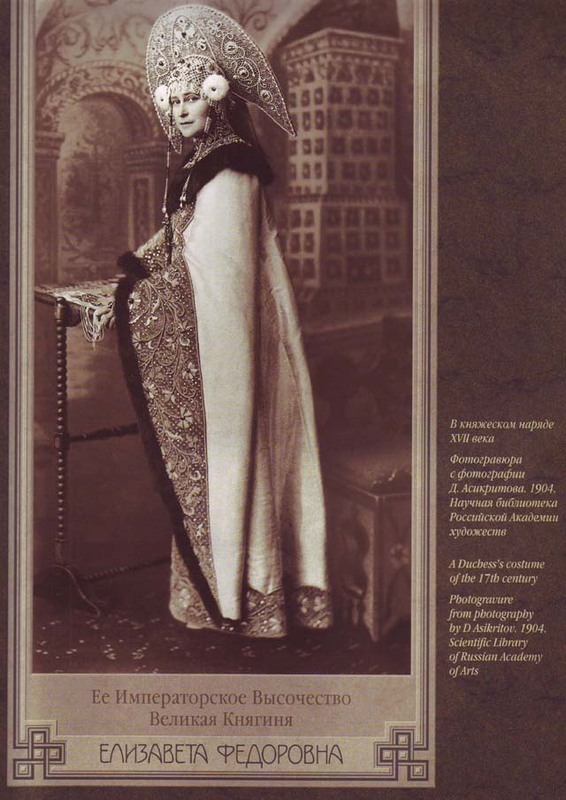 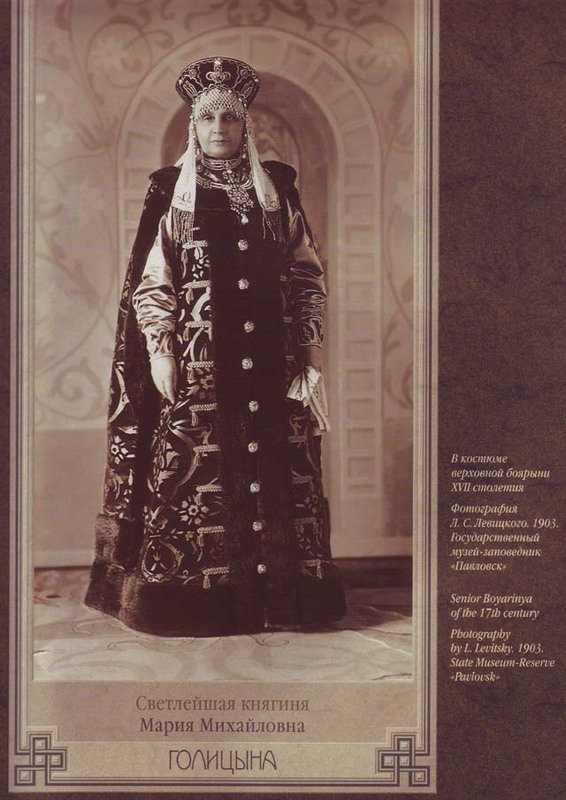 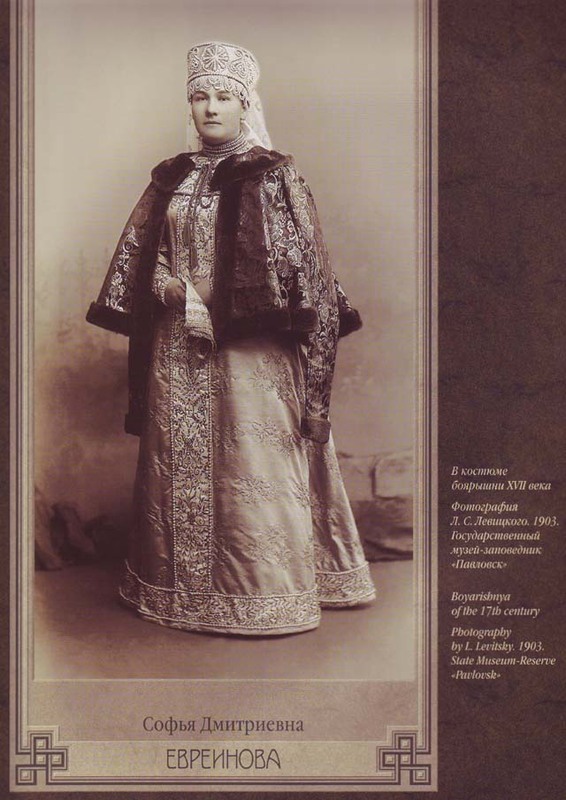 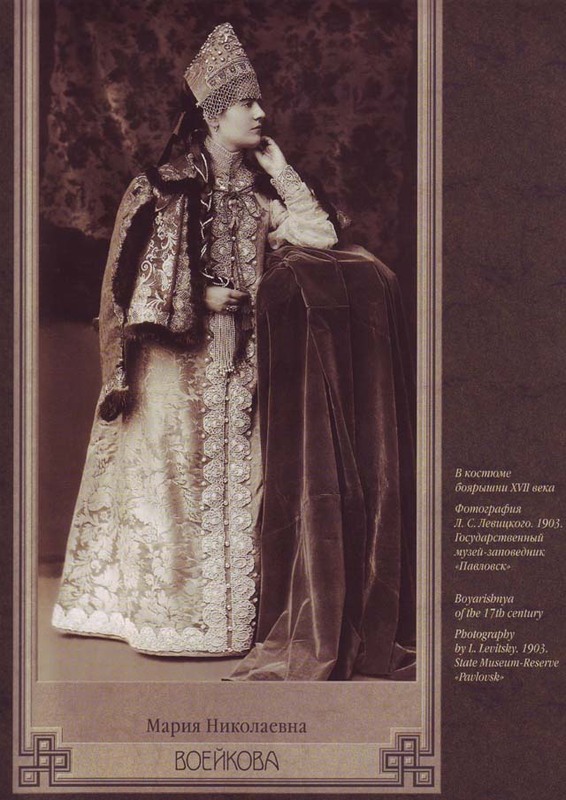 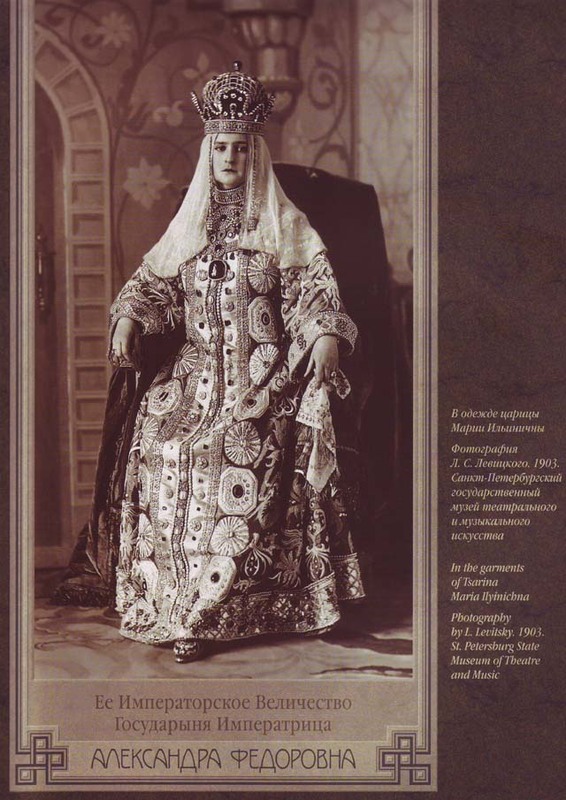 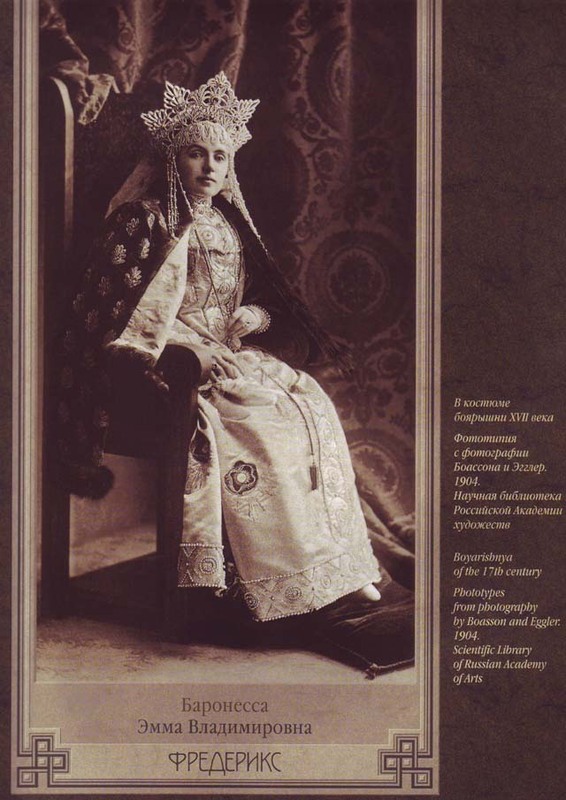 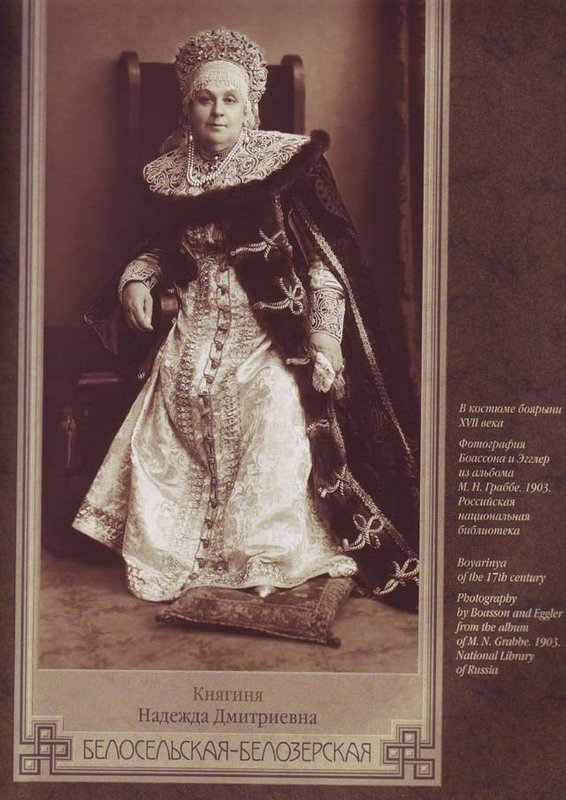 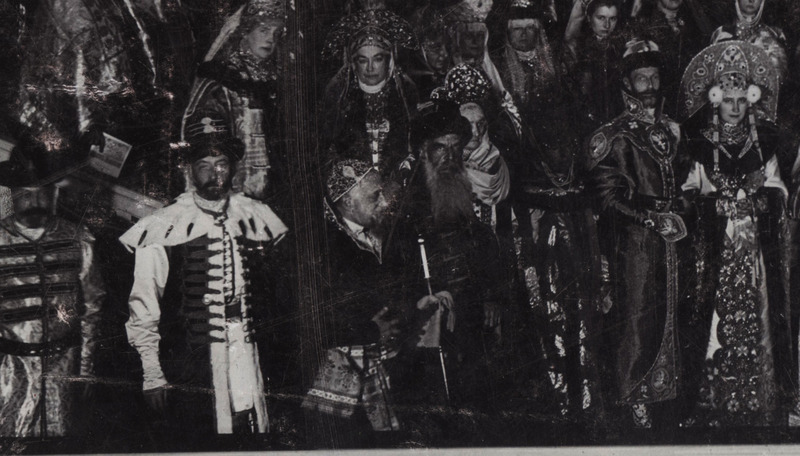 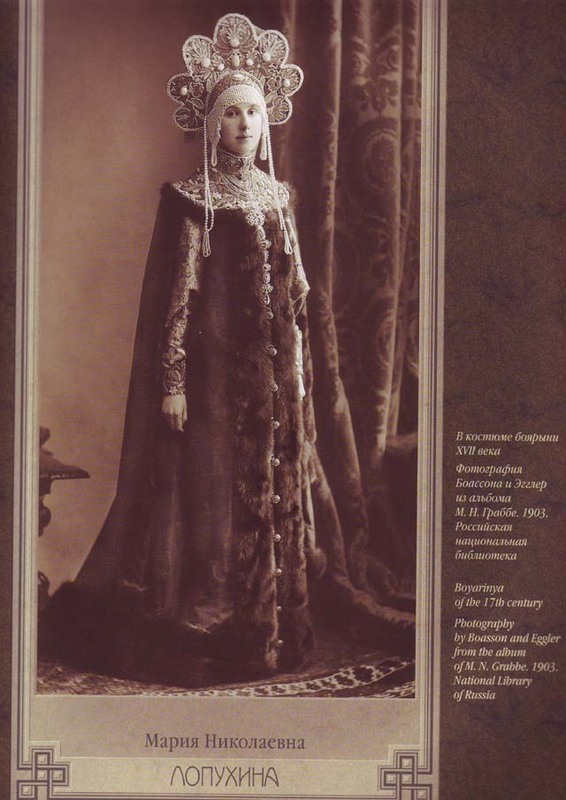 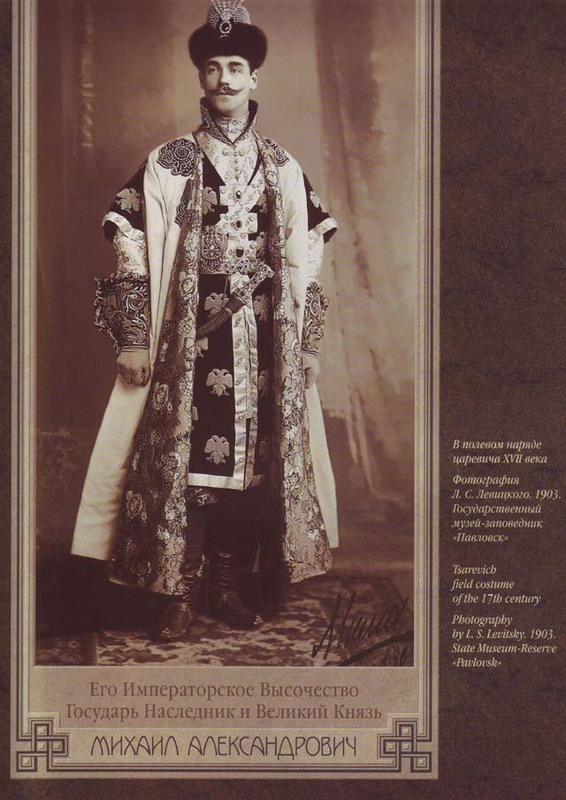 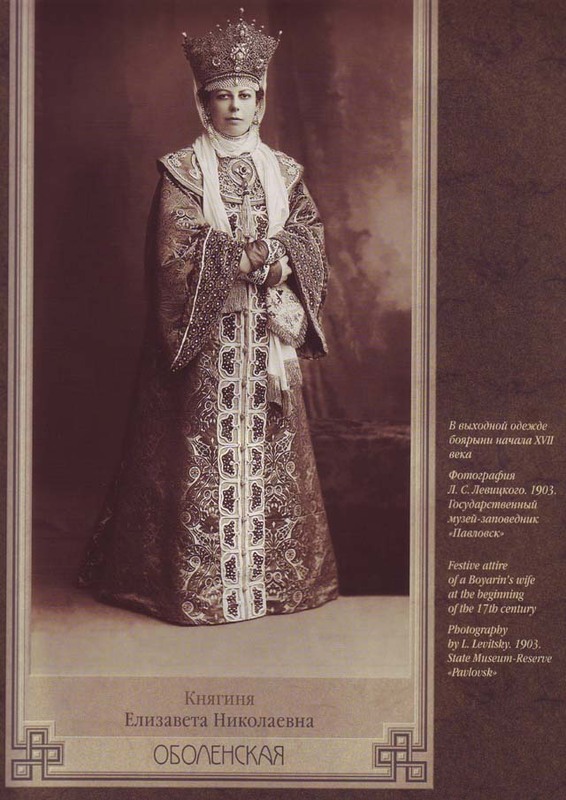 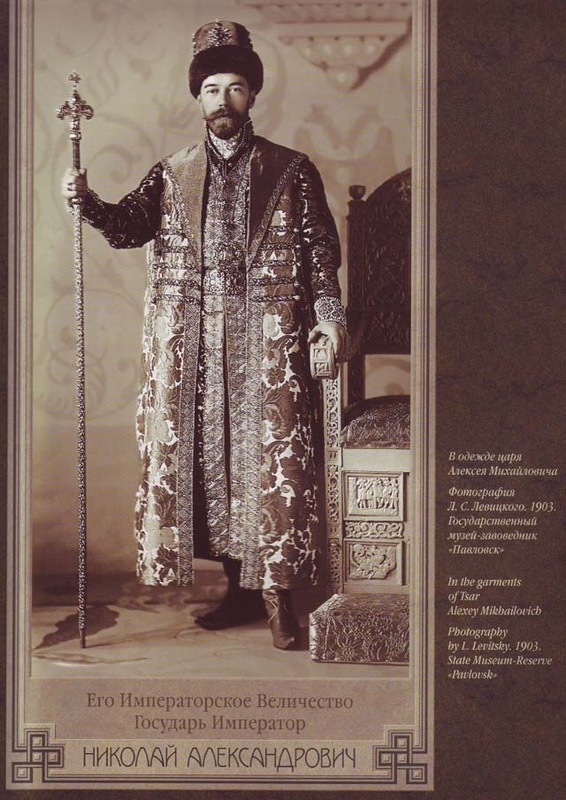 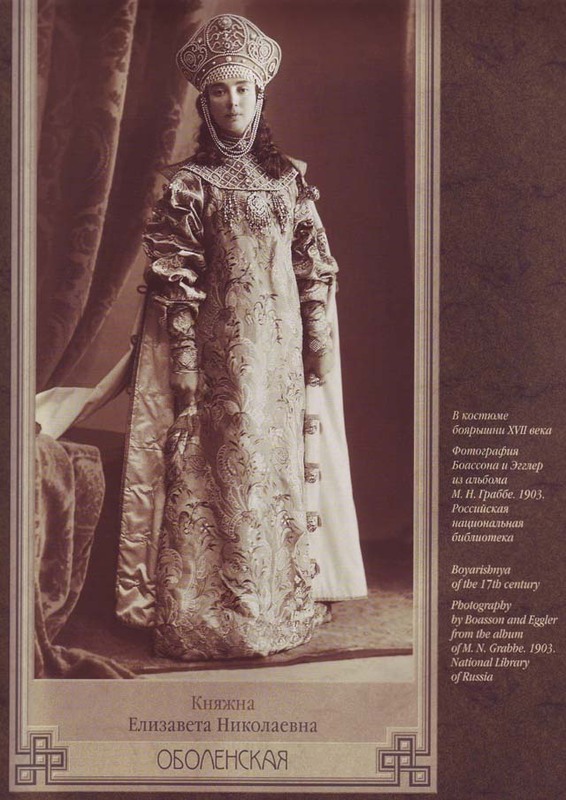 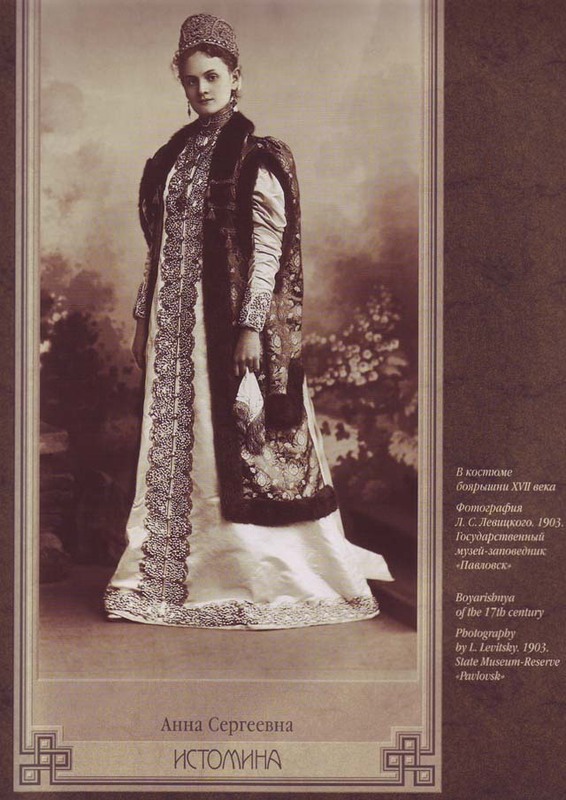 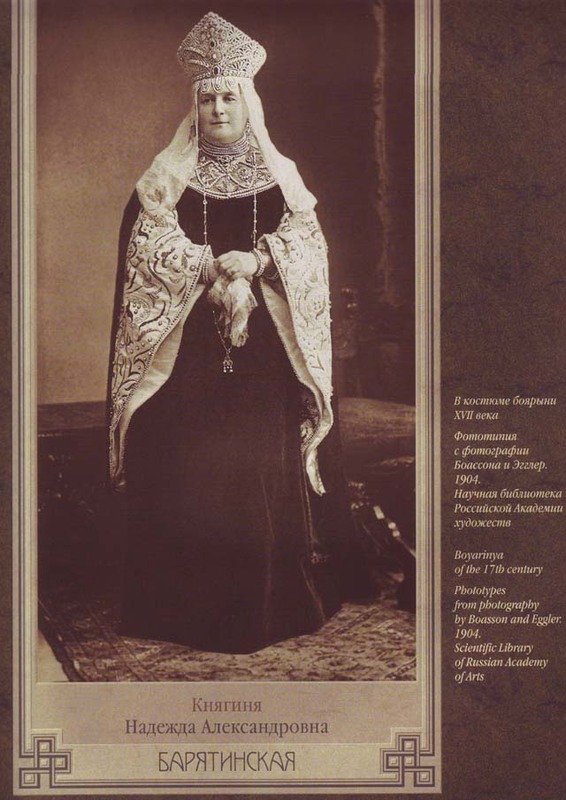 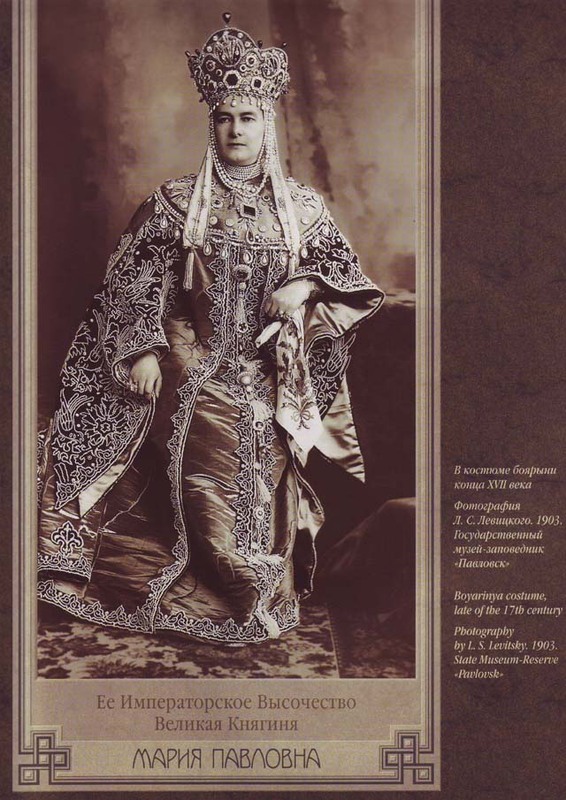 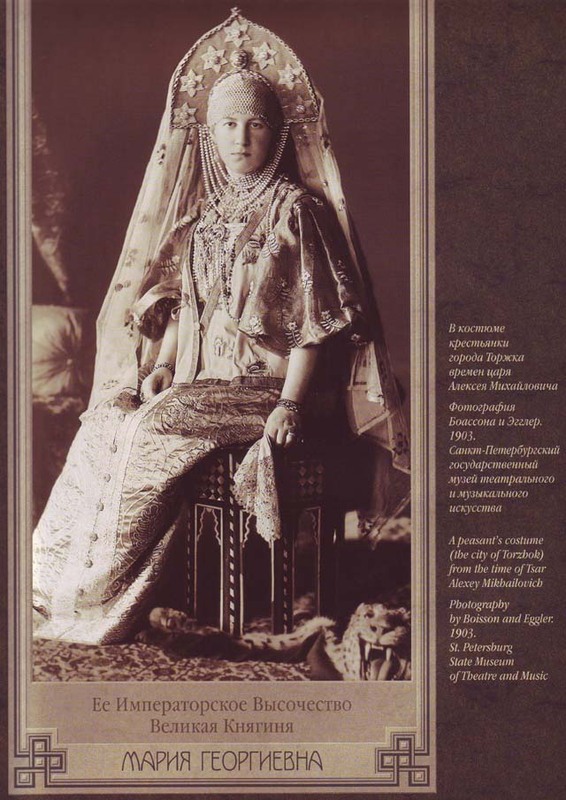 The entire Imperial family, the Tsar as Alexei I, the Tsaritsa as Maria Miloslavskaya, all dressed in rich 17th-century attire, posed in the Hermitage's theatre, many wearing priceless original items brought specially from the Kremlin, for what was to be their final photograph together.